UPDATE (2/5/2016): Looking for this year’s game? 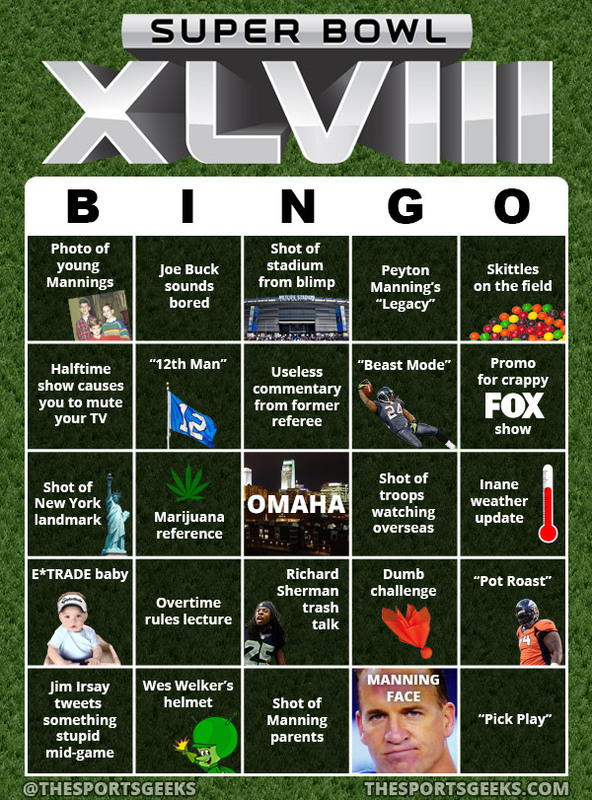 Check out Super Bowl 50 Bingo. 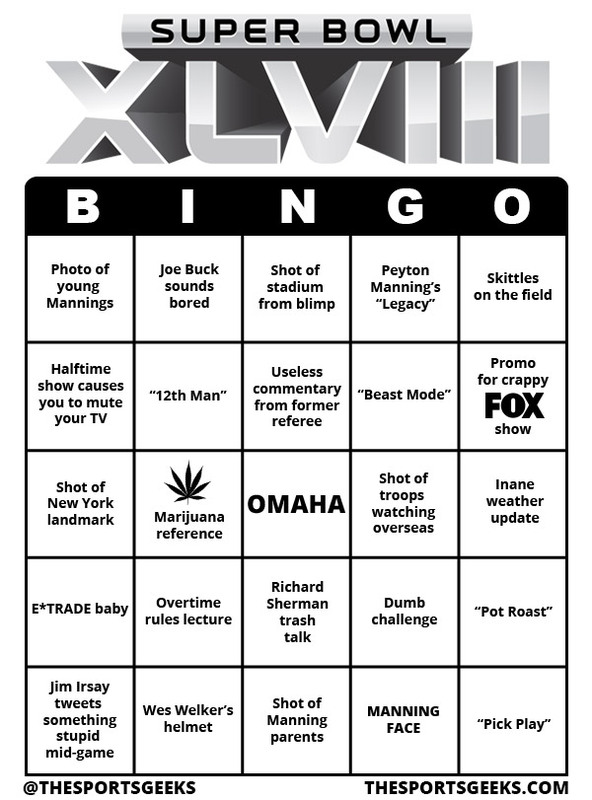 We are pleased to bring you the 3rd annual edition of our Super Bowl Bingo (or drinking game), which helps you have fun while taking in all the cliches and overplayed storylines. 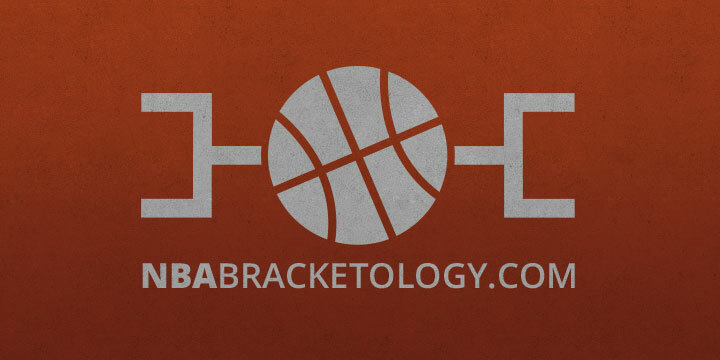 Check out last year’s game here and follow us on Twitter to play along during the game. This entry was posted in Images, NFL and tagged bingo, cliches, commercials, Denver Broncos, drinking game, FOX, game, joe buck, marijuana, Marshawn Lynch, peyton manning, Richard Sherman, Seattle Seahawks, Skittles, Super Bowl Bingo, Super Bowl XLVIII, weather, Wes Welker. Bookmark the permalink. 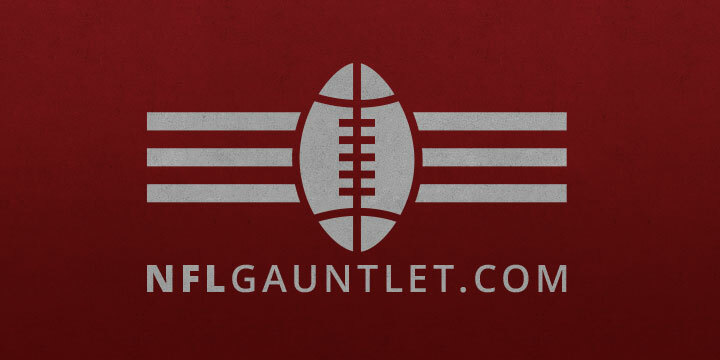 ← What Happened On The Saints’ Ill-Fated Final Play?